Here at Style Clone, we love floral fashion, and what better way to brighten up your days than embracing the floral trend and channeling some sunshine through your wardrobe!? This season is all about colourful blooms and busy flower prints, adding a splash of Summer to statement vacation pieces. Florals graced almost each and every catwalk for the Spring/Summer 2011, and one designer that got it oh-so-right was Erdem, seen at London Fashion Week. Each garment oozes Summer fun and the fabrics float beautifully.Â Here are some of our favourite pieces from the Erdem show. 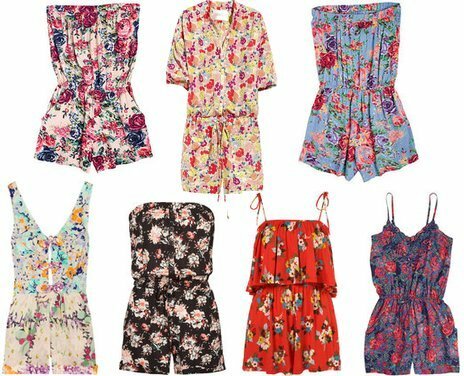 If you want to wear some florals this Summer, we recommend you invest in at least one of the following pieces, to inject some flower power into your Summer closet! 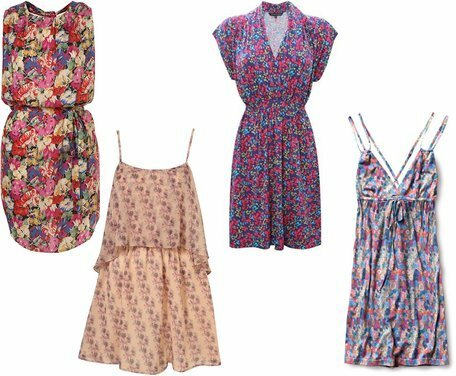 Dresses are the perfect girly garment to wear with a floral print. Go for a loose fit and cinch in at the waist with a skinny belt for the ultimate in Summer chic. Style your dress up with some chunky heeled sandals and a straw floppy hat for a warm Summer’s evening, or dress down with gladiator flats and wooden bangles. The romper is the ideal outfit for lazy Summer days, whether they be at home or at the beach. We love the strapless versions as a quick beach cover up during the day, at the pretty tie strap numbers with wedges for the evening. What suitcase would be complete with some floral swimwear? A delicate, feminine bikini with a cute floral print is the must have swimwear for this season. We can’t decide between big and beautiful blooms or pretty ditsy prints! What floral pieces will you be wearing this Summer? Children In Need's Pudsey Bear is Given A Fashion Makeover!